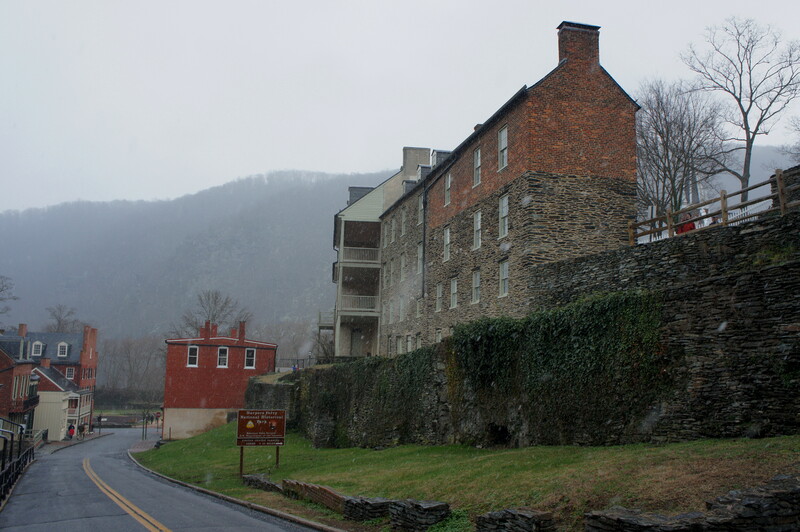 The importance of Harper’s Ferry, West Virginia in influencing the course of American history is hard to overstate. This picturesque town, situated at the confluence of two rivers in a majestic valley, played host to a 19th century federal armory, Civil War battles, several distinguished civil rights advocates, and abolitionist John Brown’s famous raid in 1859. 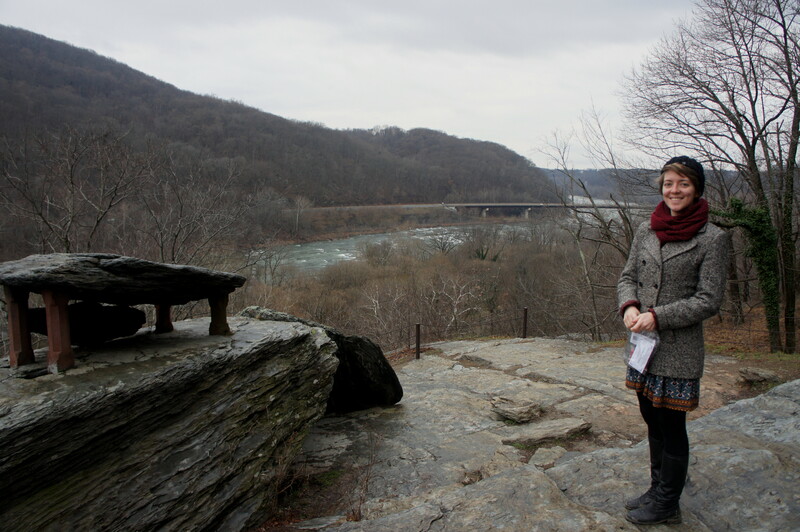 According to some, President Abraham Lincoln owes his presidency—and perhaps the preservation of the Union—to events at Harper’s Ferry (more on that later). Moreover, no fewer than nine sitting presidents have visited the town, including Washington, Jefferson, John and John Quincy Adams, Lincoln, Woodrow Wilson, FDR, Jimmy Carter, and Bill Clinton. 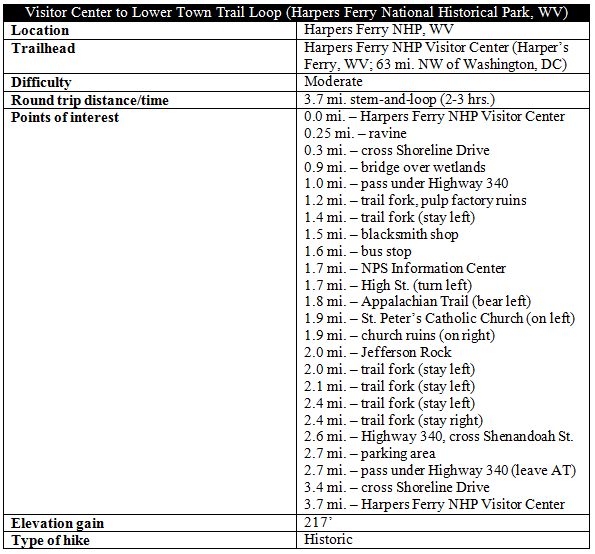 Today, many visitors to Harper’s Ferry National Historical Park take advantage of the free shuttle from the Visitor Center to historic Lower Town, two miles away. A more adventurous option is to the hike, heading out on a 3.7-mile stem-and-loop walk that features waterfalls, wetlands, historic ruins, and sweeping views, as well as a short section of the famed Appalachian Trail. The circuit takes around 2-3 hours to complete—there is one steep section—but it’s possible to tack on upwards of a whole day in Lower Town exploring the many historic sites, vistas, shops, and restaurants. 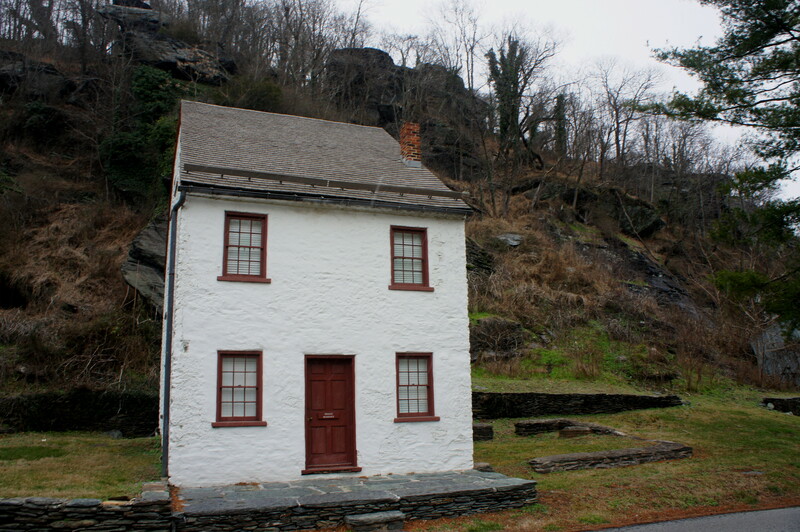 To reach the Visitor Center—a good starting point for all visits to Harper’s Ferry—set your GPS for 171 Shoreline Drive, Harpers Ferry, WV, 25425. The parking area is situated atop a hill overlooking the Shenandoah River, about two miles west of Lower Town; the entrance fee is $10 per vehicle. 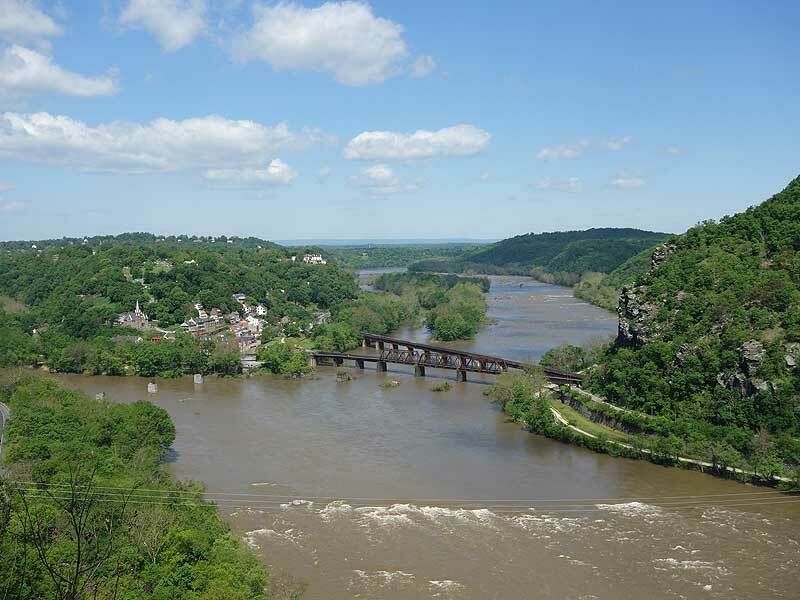 Start your trip at the Visitor Center itself, staffed by eager and knowledgeable rangers—true historians of Harper’s Ferry and the Civil War. Ask for a copy of the “Visitor Center to Lower Town Map” (found online here). 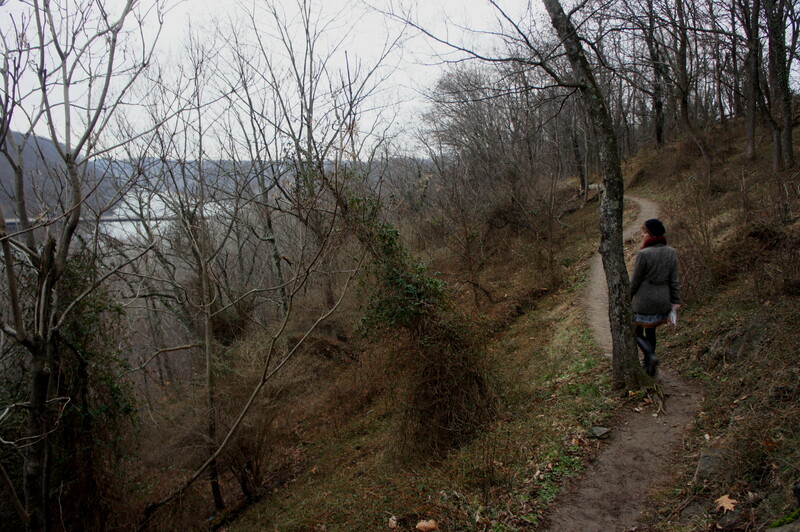 The trail itself is situated at the south end of the parking area; follow the signs for “Lower Town Trail.” The route—wide and hard to miss—quickly cuts southeast and begins a gradual descent with partially obstructed views of Loudoun Heights and the Shenandoah River. At around 2/10 mile, as it rounds a corner, the trail drops through a steep gully, assisted by short switchbacks and stone steps. 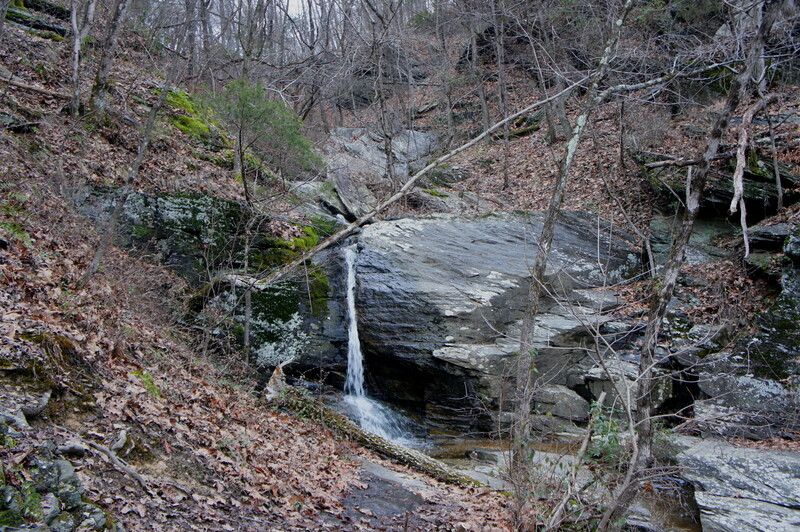 The mossy ravine is laced with interesting outcrops of phyllite—the predominant rock type in the area—and, at least in winter and spring, boasts several modest but beautiful cascades. 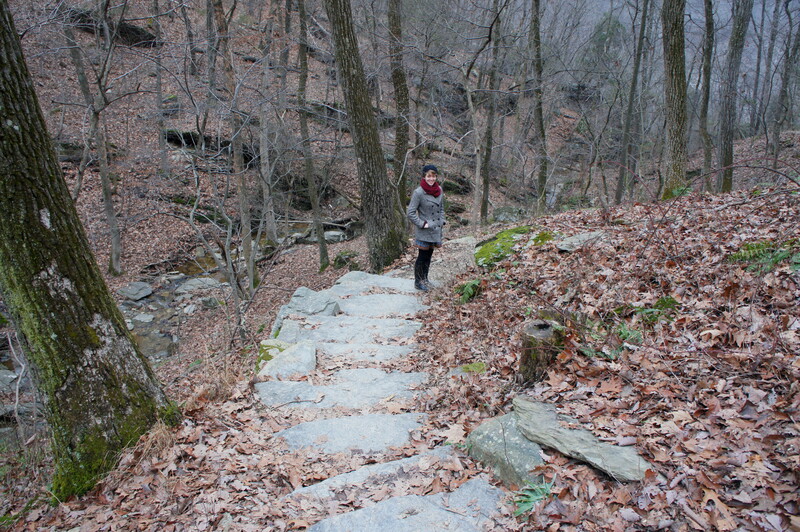 At one point, the carefully-constructed trail descends a stone staircase between two ribbed boulders. At 1/3 mile, the sharp descent ends at Shoreline Drive. Cross the (sometimes busy) street to the other side, then bear left. The next 1.4 miles, all the way to Lower Town, are flat and largely follow the right-hand side of the road. Wetlands off to the right offer the potential to spot wildlife, including herons, turtles, and occasionally beavers or muskrats. A mile from the trailhead, the path weaves under noisy Highway 340, then passes a hiker’s parking lot on the left. Continue to follow Shenandoah Street left as the Baltimore & Ohio Railroad bears right. 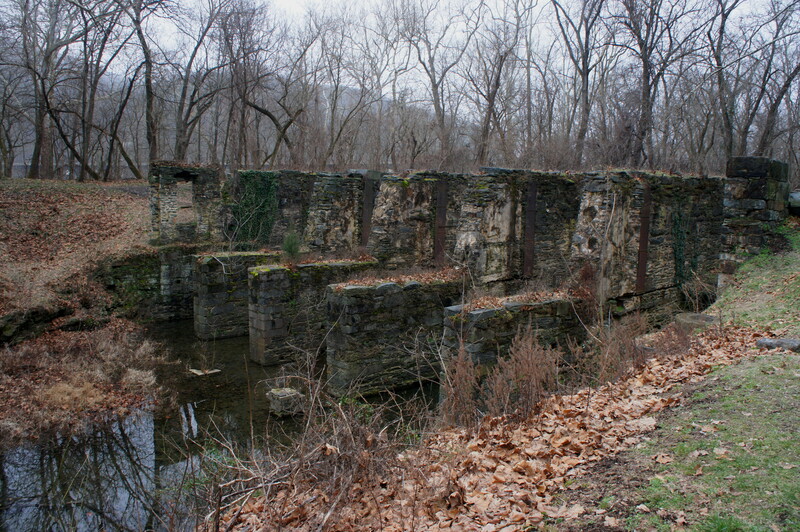 The weathered ruins of an old paper mill at 1.2 miles—officially the Shenandoah Pulp Factory—are quite interesting and worth exploring. The mill’s ten turbines were in operation from 1888-1935, while the building was destroyed in the infamous flood of 1936. 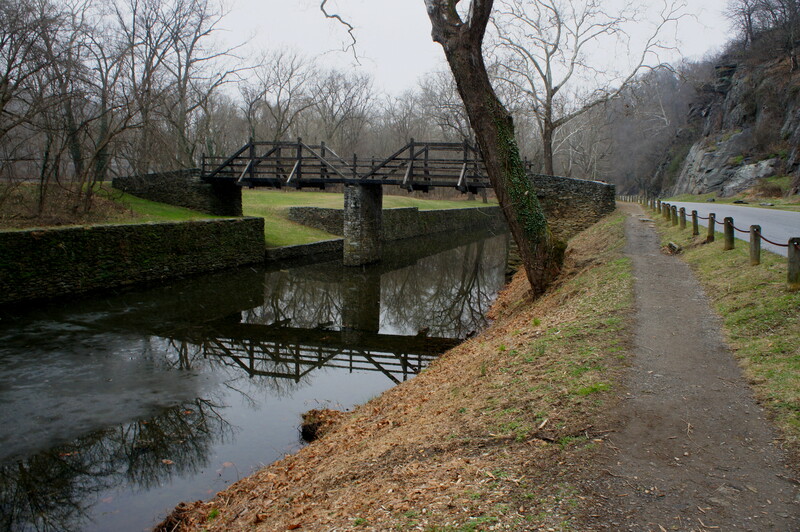 Beyond the factory, the eastbound trail follows the Shenandoah Canal, with Halls Island and Virginius Island on the right (see map here), both accessible from this trail. A small blacksmith shop sits at the eastern terminus of the canal, opposite phyllite cliffs and a very quaint private residence on the left. By now, Lower Town is visible ahead. The armory remained until 1861, surviving John Brown’s symbolic raid but not the Civil War. One day after Virginia’s secession in April, local pro-slavery militiamen descended on Harper’s Ferry, with the aim of using the arsenal’s 15,000 muskets to support an imminent march on Baltimore—and ultimately Washington, DC—to oust President Lincoln and bring a quick and decisive end to the nascent war. Before retreating on the evening of April 18, however, Union Army Lt. Roger Jones set fire to the arsenal and armory buildings, destroying the 15,000 weapons in a move that perhaps saved the Union from collapse. 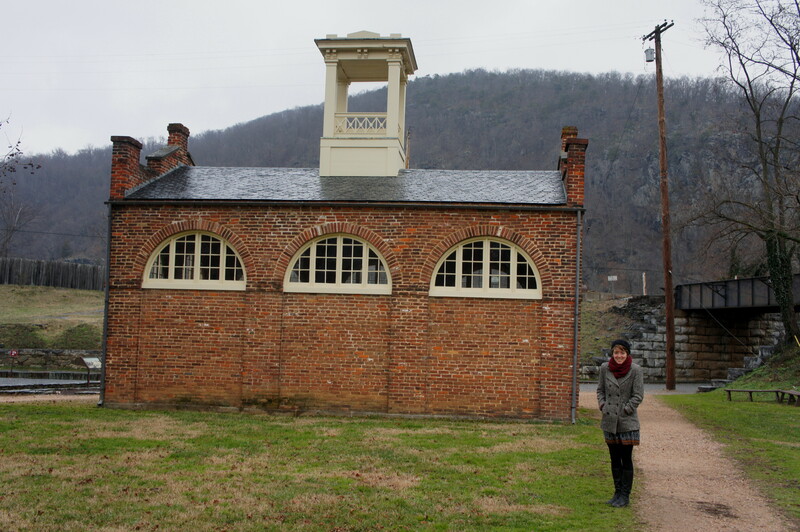 Subsequent occupations—Harper’s Ferry switched hands several times during the war—left the entire armory destroyed, save for one building: the fire engine house, where John Brown was captured in 1859, later a pilgrimage site and monument to Brown’s abolitionist cause. Upon entering Lower Town, the trail passes the primary shuttle bus stop before merging into Shenandoah Street. Amid the quaint homes with striking balconies, the National Park Service Information Center is located in the last building on the right. If the timing is right, try to attend about the excellent, 30-minute ranger talk and tour. You will find the iconic fire house, now known as John Brown’s Fort, across a field to the east of the info center. Beyond, pass under the railroad and continue to The Point, situated just above the confluence of the Shenandoah and Potomac Rivers. Several bridges, old and new, are visible from this scenic overlook. Only the stony supports remain of the original crossings—the two bridges were destroyed in the 1936 flood. 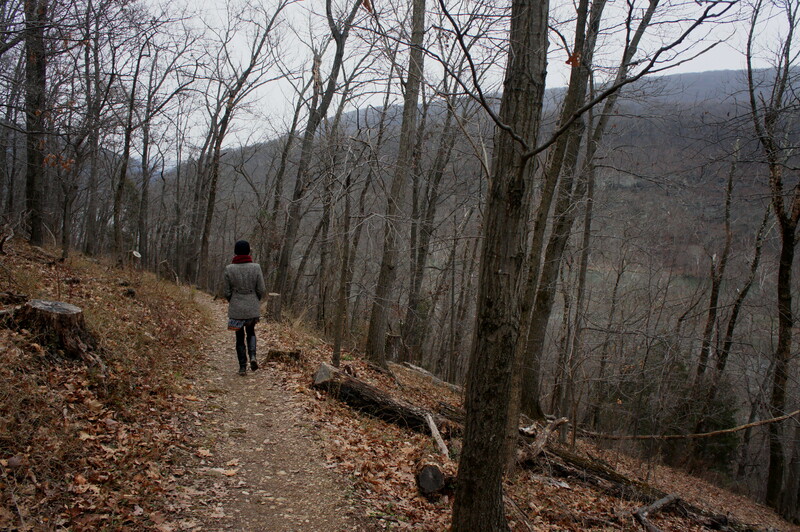 Though the true midpoint of the Appalachian Trail rests in the woods of southern Pennsylvania, Harper’s Ferry (1,013 miles to Springer Mountain in Georgia and 1,165 miles to Mt. Katahdin in Maine) marks the psychological halfway point for through-hikers. 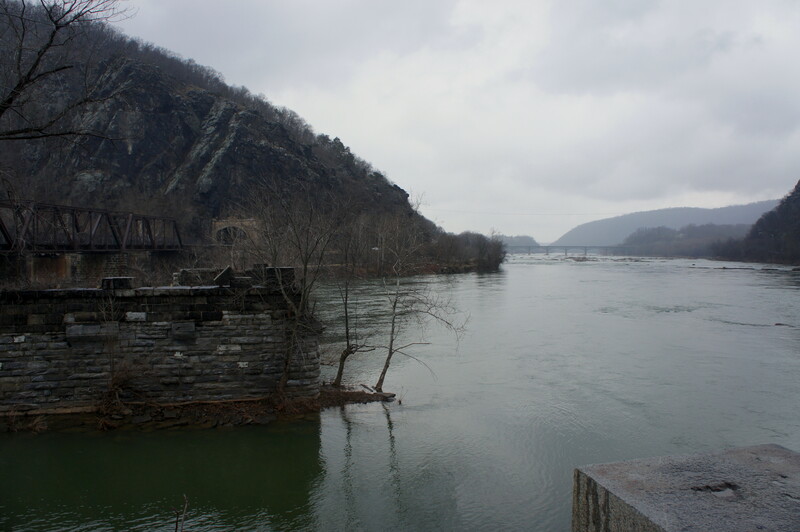 Harper’s Ferry hosts both the headquarters of the Appalachian Trail Conservancy and the official NPS Appalachian Trail Visitor Center, and the stores and restaurants in town are dotted with AT paraphernalia. Officially, the AT runs through West Virginia for only four miles—not including a 20-mile section that straddles the border with neighboring Virginia. The circuit hike described here covers 9/10 mile, beginning at High Street in Lower Town. To reach the start, bear north, up the hill, from the Information Center. The street is dotted with historic houses, as well as a number of charming shops and restaurants. The AT crosses High Street just a few dozen yards up the road; look for a stony staircase on the left, marked with a wayside and map. 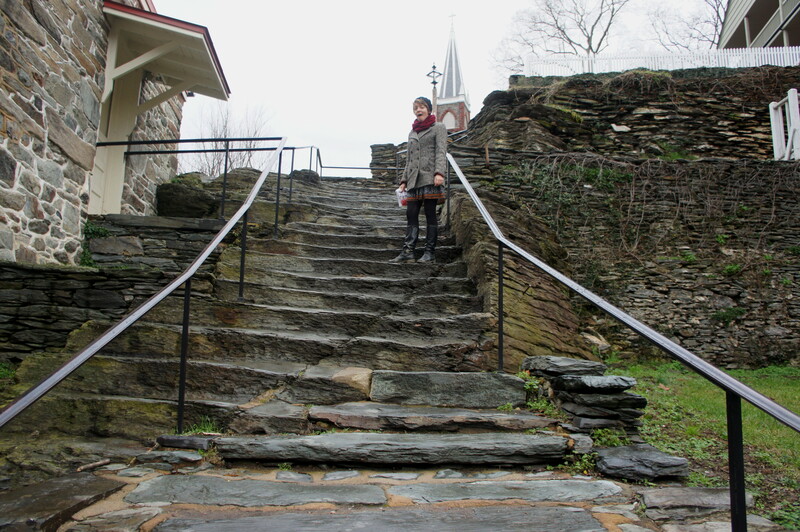 Atop the first of several staircases, the AT follows Church Street past Saint Peter’s Catholic Church (which offers ghost tours of Harper’s Ferry? 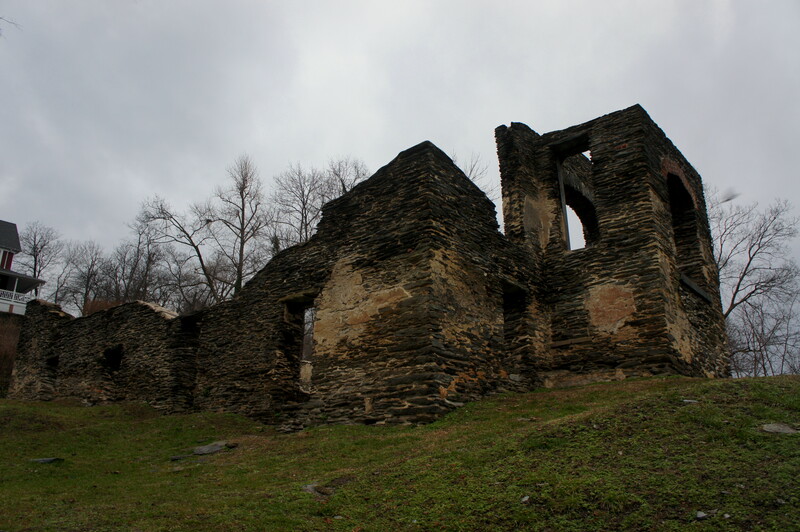 ), then ascends a second set of steps alongside the picturesque ruins of a second, long-gone chapel. For what it’s worth, it’s probably not unreasonable to call the “Sage of Monticello’s” effusive praise into question: the vista from Jefferson Rock, while pretty, is partially obscured by dense forest and pales in comparison to nearby heights. It’s easily accessible from Lower Town, however, and would probably make for a nice spot to watch a sunrise or sunset. Immediately after the minor detour to Jefferson Rock, the AT climbs yet another set of stairs, leading quickly to a trail fork. Stay left. The path eventually levels out and settles into a steady eastward march, following the southern flank of Camp Hill. Stay left again at a second trail junction (a right leads up to the Lockwood House and Harper Cemetery). After skirting two modest ravines and a terraced rock outcrop, the trail splits again—a right turn leads up Camp Hill to the Appalachian Trail Visitor Center while the main path continues left. Less than a minute later, bear right at the fourth trail fork (following the white AT blazes). Over the next 2/10 mile, the AT drops around 60 feet, emerging from the trees at Highway 340. Continue left, following the sidewalk to Shenandoah Street. Cross the road and the small parking area, leaving the AT behind (the trail continues across the Highway 340 bridge over the Shenandoah). Turn right on the flat, level path—the same used earlier heading east to Lower Town—crossing under Highway 340. From here it is a mile—through familiar territory—back to the Visitor Center. 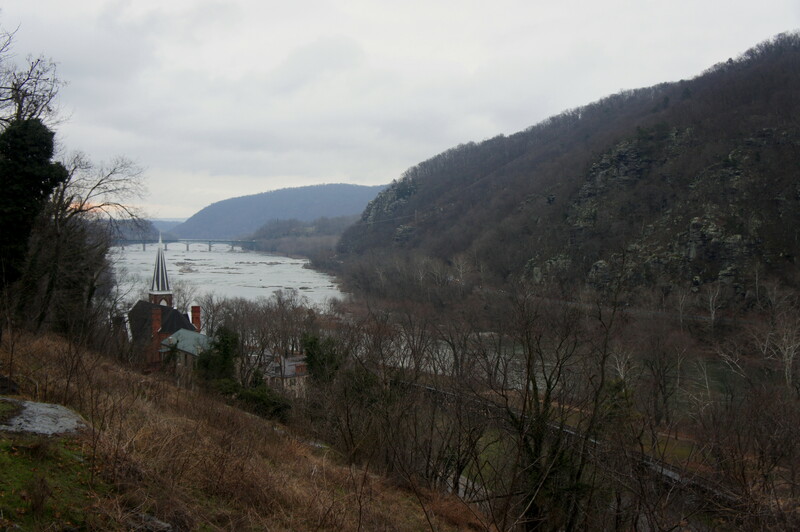 Hikers with tired legs—required on the return trip to reverse the steep, 200-foot descent from earlier—are likely to welcome the sight of the parking area, marking the end of a scenic and historic tour of Harper’s Ferry. This entry was posted in Civil War, Harper's Ferry National Historical Park, Moderate Hikes, West Virginia and tagged Appalachian Trail, Civil War, Harper's Ferry, Harper's Ferry National Historical Park, historic, Jefferson Rock, John Brown, loop hike, Lower Town, Potomac River, Shenandoah Pulp Factory, Shenandoah River, The Point, Visitor Center, waterfall, West Virginia. Bookmark the permalink. Great post! I lived in HFWV for three years and recently moved away. So many great trails to hike and rivers to canoe. I miss it there more than I would have imagined and can’t wait to return. Thanks for giving me a tour through my adopted home town!